Car And Motorcycle Restoration Vapour Blasting Services. Car And Motorcycle Restoration: We offer vapour blasting services for car restoration enthusiats. 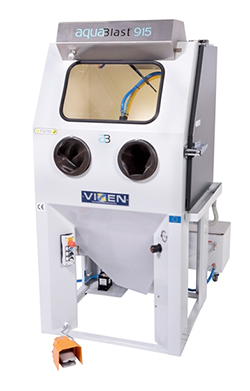 Vapour blasting degreases and cleans by the action of the media flowing across the component surface and not by the force of impact such as grit blasting, resulting in a smoother finish that virtually peens the surface leaving it in a final finished condition. The service is ideal for small components such as carburettors, engine and gear blocks, and all types of associated mechanical components. The service is ideal for the surface treatment of vintage car parts where sensitivity is critical, such as for vintage and classic cars. We offer our services to enthusiasts as well as restoration specialist such as Jaguar and Rolls Royce restorations. Our capacity is suited for items up to 1m wide x 1m long x 1m tall. If you are involved in a restoration project of a car or motorcycle, please feel free to contact us. No job too small.